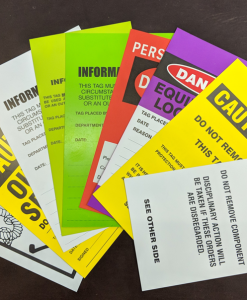 Newprint HRG’s engraved stainless steel tags are great for a wide variety of applications, including machinery labels, pipe markings, cable markers, valve tags and vehicle identification. 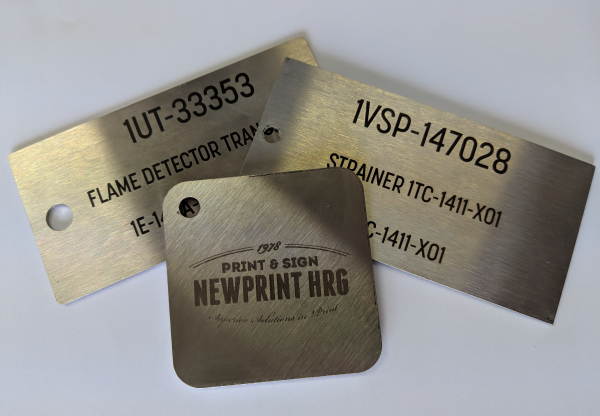 Cut and engraved on 304 or 316 grade stainless steel. 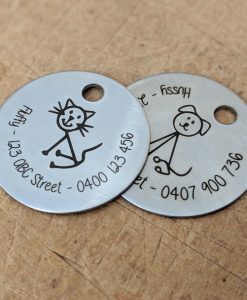 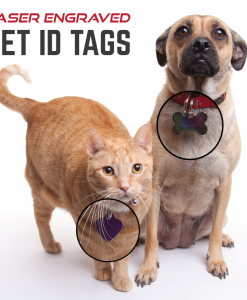 These tags range from 0.5mm to 3mm thick and come in a range of sizes.